Planning for retirement is exciting, anxiety-inducing and complicated. Sometimes it seems you can’t even plan further than the weekend, so to plan your entire work-free retirement? That seems like a lot to handle. When dealing with something of this magnitude, it makes sense that you’d stumble, get turned around and make mistakes. Below are some common mistakes to avoid when you set out on your retirement planning journey. Even if retirement seems light-years in the future, it’s never too early to start planning. Ignoring it is actually more stressful than working out a plan, according to Investopedia.com Contributor Michael Conway, CFP®, ChFC®. “To start, write down your current financial needs and future goals. Most important, seek help. Professional advisors can see the hidden gaps in your planning that might hurt your financial future,” Conway advises. Retirement plans, paperwork and accounts need to be protected, and forgetting to assign beneficiaries to all of your retirement avenues (including an IRA) can detrimentally impact its worth and leave your loved ones in a mess of red tape, according to Kiplinger.com Contributor Mike Piershale, CHFC. With all the focus on the tomorrows to come after you’ve stopped working, it can be easy to forget about the now, according to Conway. In addition to planning for your retirement, he advises, be sure to earmark necessary funds for your mortgage, college tuition and car loans. He also advises you to prepare a well-padded emergency nest egg for when life decides to throw you a curveball. The world of finance is fraught with demons — namely fine print, stipulations and penalties. 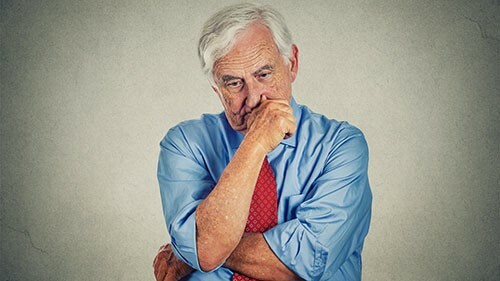 If you don’t pay close attention to every detail, such as conditions for rolling over a company retirement plan into an IRA, you could suffer from potentially steep and definitely annoying penalties that will rob you of your account’s full worth, according to Piershale. You’ve done the hard work — dedicated countless years to the workforce, sought out advice from a reputable financial planner, established a diversified portfolio and officially retired. So, you should be good to coast now, right? Sadly, no. According to LaPonsie, setting your retirement plans on autopilot is a quick way to negate all your hard work. He instead recommends a yearly review of your financial hopes, dreams and goals. “In reality, a plan only remains relevant if it constantly evolves to adjust for market conditions and a retiree’s lifestyle needs and goals,” writes LaPonsie. Planning for your retirement needs to be an ongoing process and requires the same dedication you give or have given to your working life. You’ll definitely make mistakes, but with some thoughtful planning, attention to detail and trusted advice, you’ll be able to draft a retirement plan that serves you well.